Dr. L. Stephen Jerman grew up in Worthington, Ohio and graduated from Worthington High School in 1955. Following his high school graduation, he joined the United State Navy. Upon returning home to Worthington he enrolled in The Ohio State University College of Dentistry, graduating in 1966. Four decades later, his legacy lives on as Jerman Family Dentistry continues. 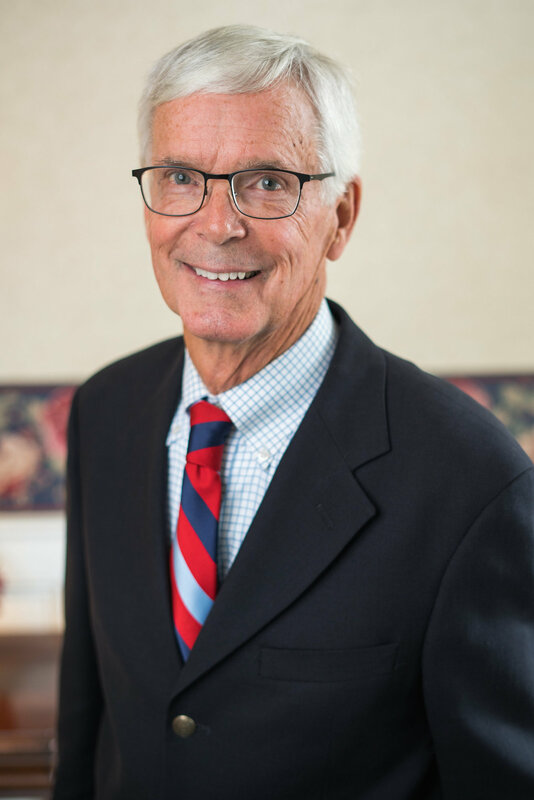 Dr. Jerman prides himself on having treated many generations of the same family over the course of his career. Known for his gentleness and genuine concern for his fellow man, he has gone above and beyond to care for each of his patient’s personal needs, including coming in after hours or traveling to senior patients who are unable to leave their homes. In June 2015, he made difficult the decision to put down his instruments and embrace retirement. However, he continues to fill in for Dr. Mark and Dr. Jenn when they are out of the office and frequently stops by to say hello. Dr. Jerman now fills his life with some of his other favorite past times, including gardening, landscaping, golfing, attending OSU football and basketball games to cheer on his alma mater, spending the winter months in Florida with his wife, Barbara, and seeing his four beloved grandchildren whenever he can.